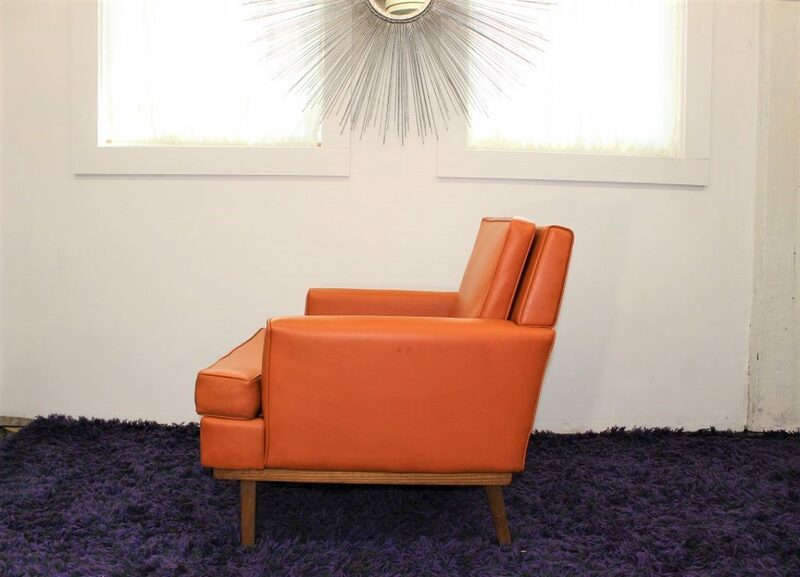 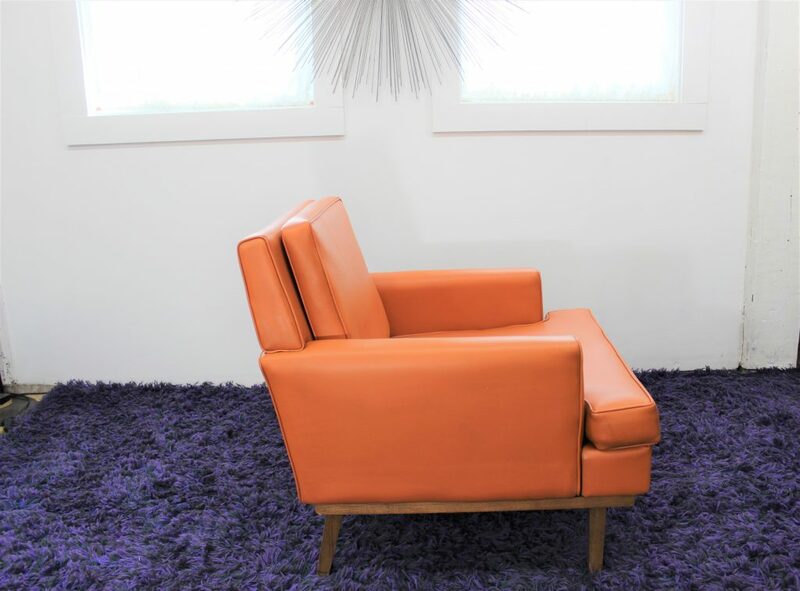 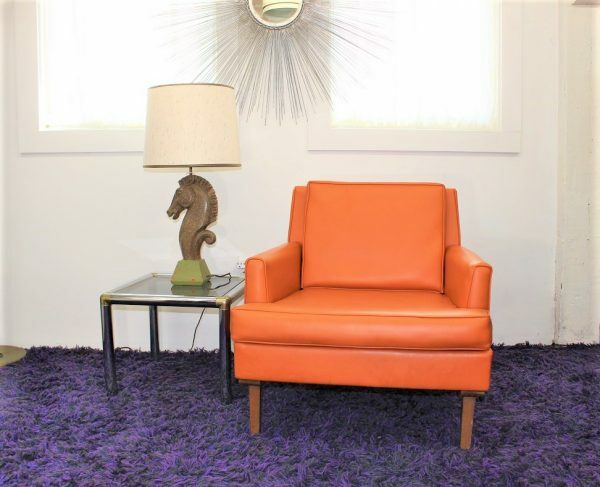 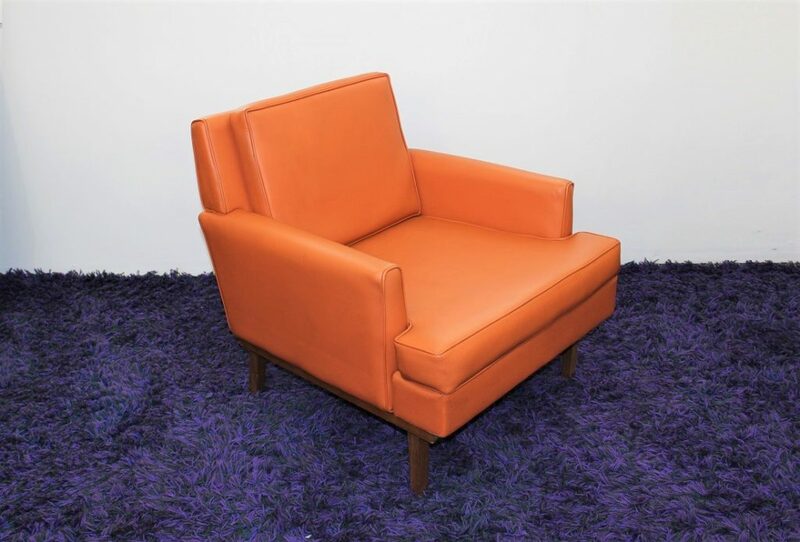 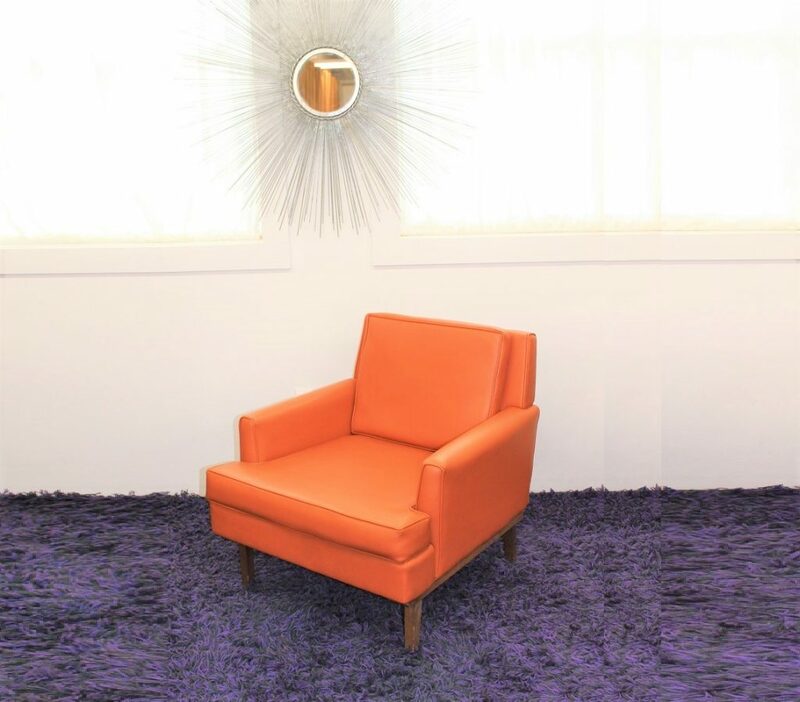 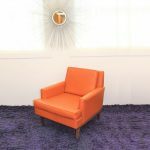 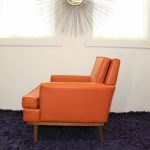 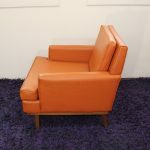 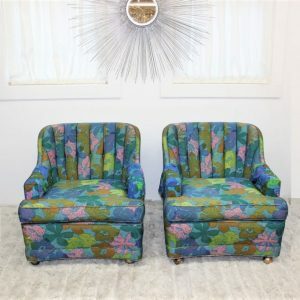 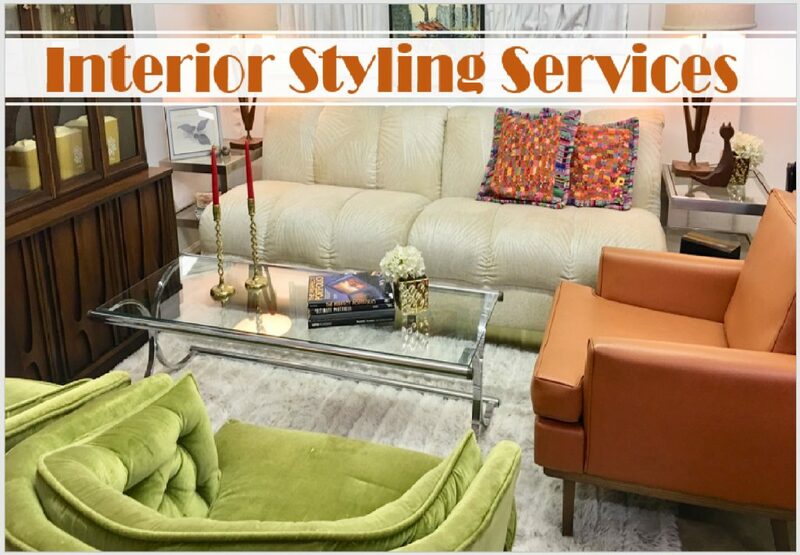 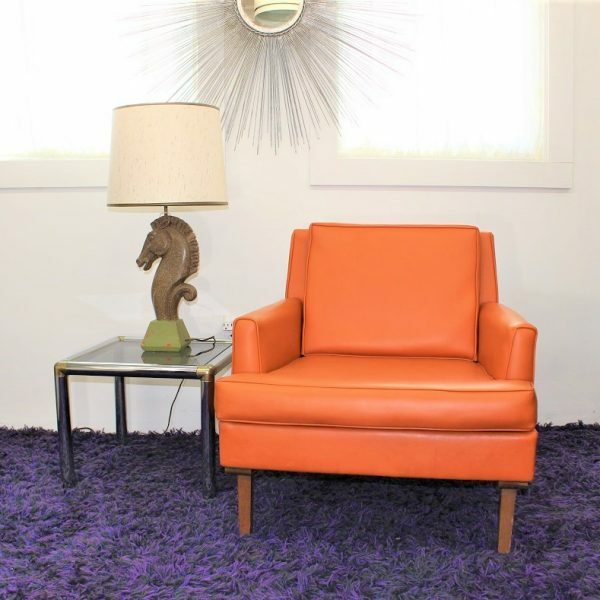 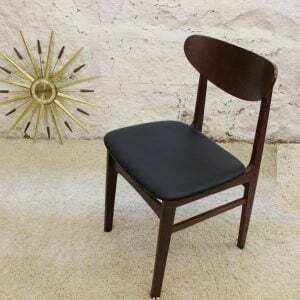 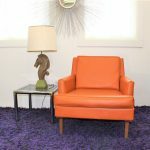 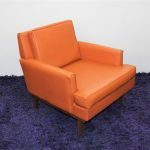 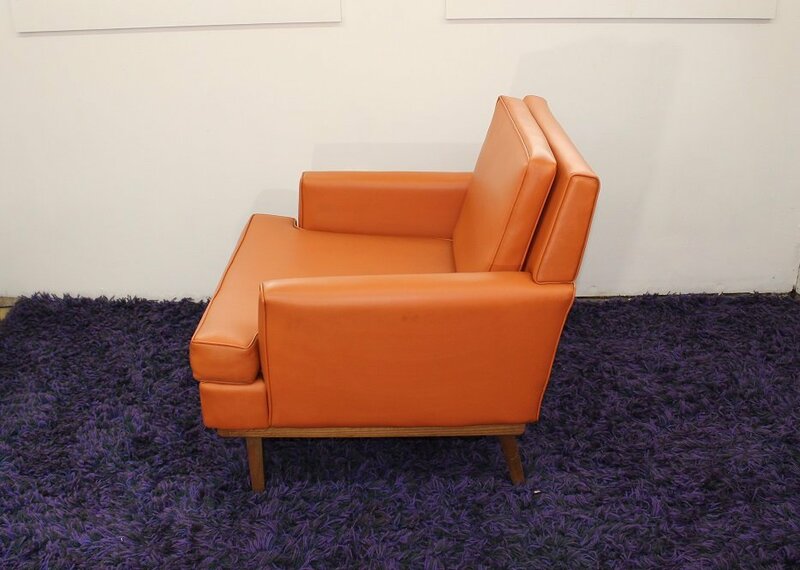 This beautiful vinyl orange chair is in the style of the designs of Milo Baughman, probably made by another company imitating the awesomeness of his designs. 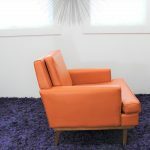 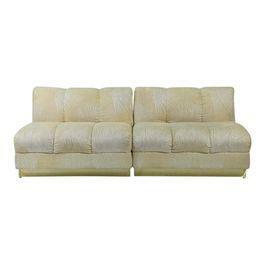 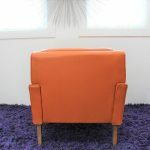 And look at that beautiful orange vinyl upholstery! 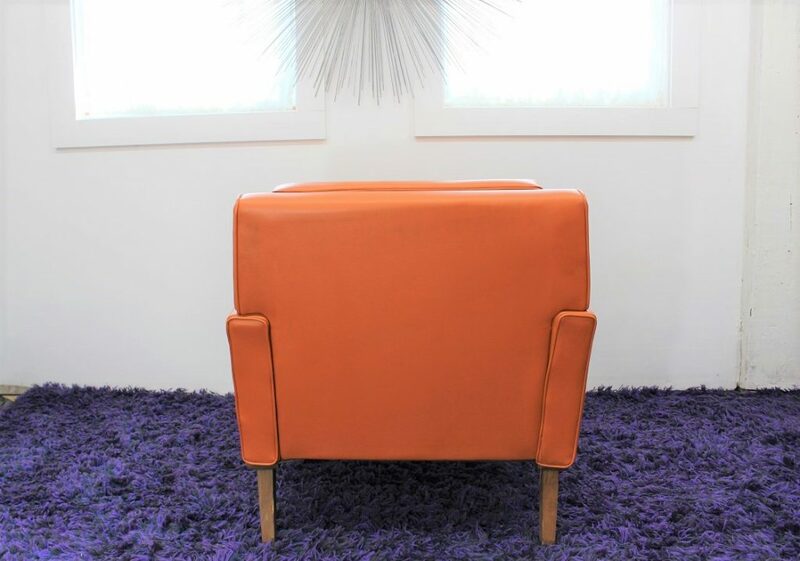 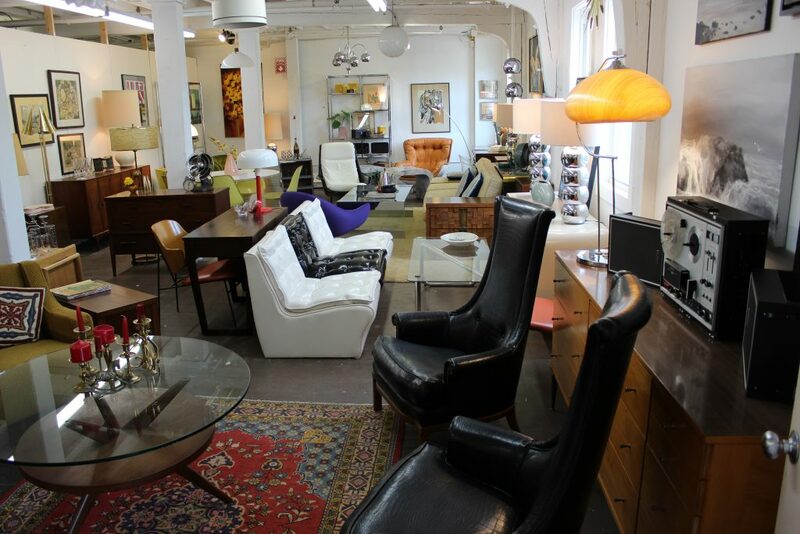 It is the perfect addition to any room. 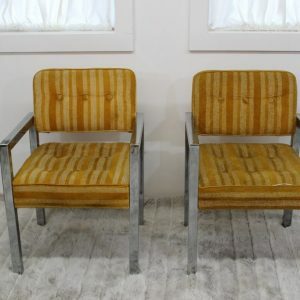 It is in wonderful condition with only minor signs of its previous life.